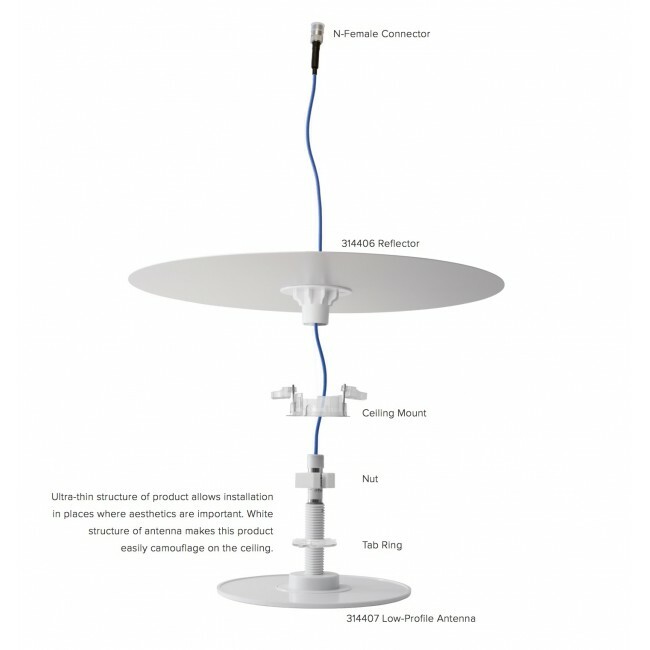 The ultra thin WilsonPro 4G 314406 Dome Antenna with Reflector is the best antenna for installation in areas that need a low profile, high performance dome antenna and there is space above the ceiling for a large signal reflector to maximize gain & coverage throughout the space. The WilsonPro 4G Low-Profile Dome Antenna with Reflector (314406) is a high performance dome antenna developed in partnership with PulseLarsen that is designed to be installed in areas that require a much lower profile than the standard Wilson dome antenna. 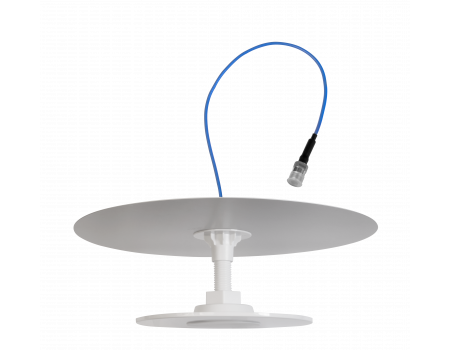 The included reflector ensures that excess signal that would normally escape from the back of the dome antenna is redirected downwards, resulting in a larger coverage area. 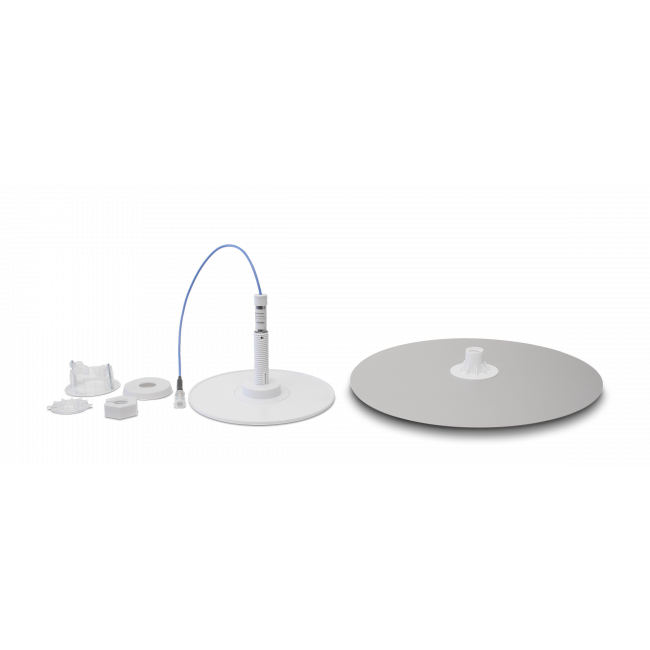 The WilsonPro 314406 Dome Antenna with Reflector model requires the ability and space to install the 16.56" reflector above the ceiling. If this is not possible, then you should use the WilsonPro 314407 4G Low-Profile Dome Antenna instead. 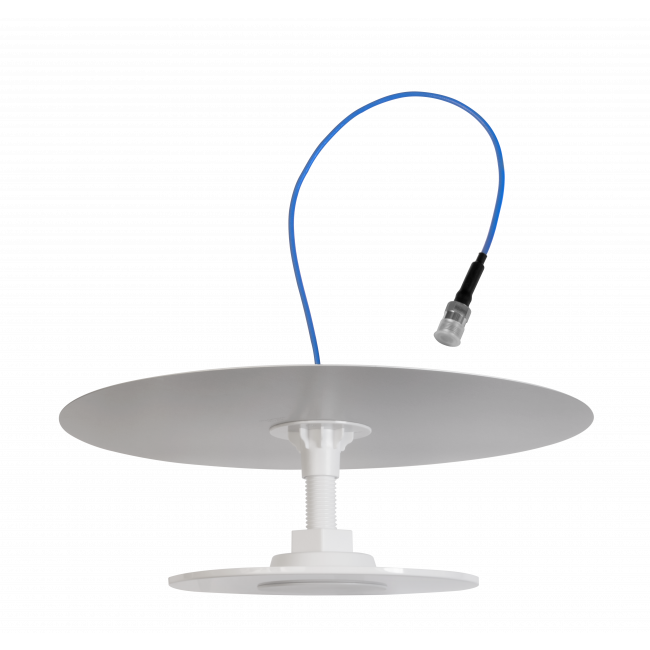 The WilsonPro 314406 Dome Antenna with Reflector includes a plenum pigtail, so it can be used in plenum spaces. Dimensions Diameter: 16.52", Height: 6.36"